This stylish ceramic travel mug is double wall insulated, 6.5” tall and holds 14 oz. of liquid. Lid has 2 openings for sipping and swivelsopen & closed to prevent spills. 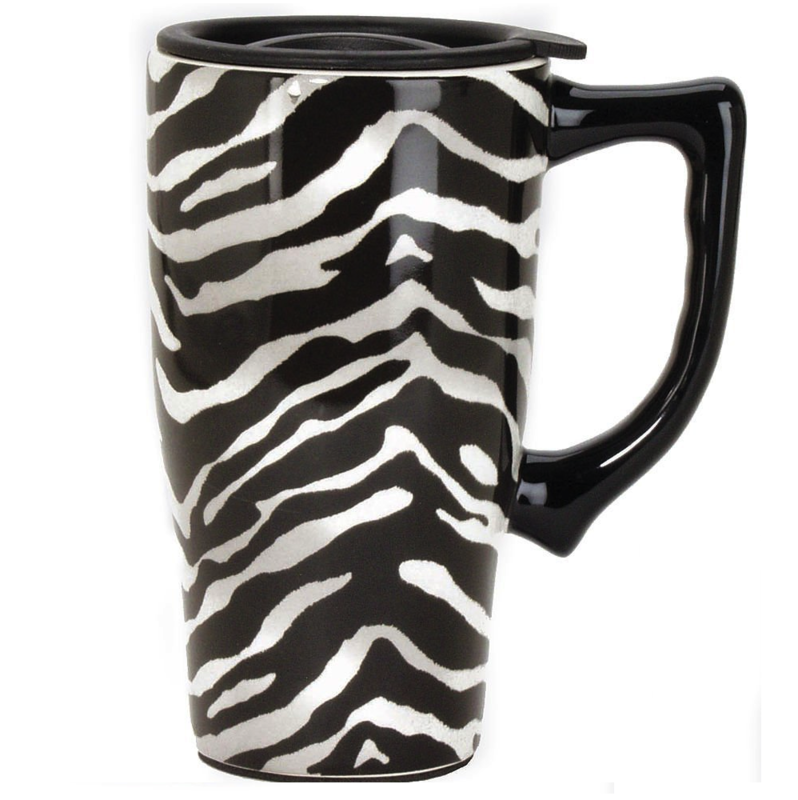 Mug features a zebra print design.